What is the Way Forward for the Medical Aid Industry? Many challenges and opportunities are facing South Africa’s medical aid industry. In an in-depth study for FinMark Trust, Insight put forward several solutions as the way forward. 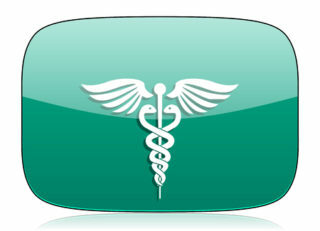 The main issue facing the industry is the provision of low-cost health care products. The report calls for insurers to encourage large-scale participation by the health care market. This strategy will result in better pricing rates and competition between health care providers. Medical schemes top the pre-funded health care product market, they service about 16% out of the total number of 8.8 million people. In the late 1990s the government passed laws that sparked interest among South Africa’s major insurance firms and evolved into a profitable medical scheme market. However, the high cost of fees has meant most South Africans who fall in the lower income group, could not afford it. Over the years public scepticism about the cost of medical aid has grown. The study found that schemes favour top income earners. Stats show that medical aid fees have outstripped the Consumer Price Index (CPI) by 2.7% every year. While membership, on the other hand, has suffered a low growth rate. The increased cost of health care has seen a downgrade in policies and a reduction in the number of people insured by the main members. Low-income lives are more at risk and will suffer the most as costs increase. The industry is unable to provide a growing demand for low-cost, health care cover. However, in response to this request, the industry have tried to provide cheaper products such as hospital plans and cover for primary health care benefits only.